When couples decide to look for an antique engagement ring, they will not only be able to choose from styles reminiscent of different eras, but they will have to choose from different types of rings. A variety of metals and stones make antique rings a great option for those looking for a unique design different from what is found in stores today. Browse through photos of rings to get an idea of what type of design appeals to your taste and style. Many older engagement rings are exquisitely detailed, including filigree designs, carvings, and other minute embellishments that make the entire ring a work of art rather than just a setting to hold a brilliant jewel. A basket setting is a common antique design. It uses an elaborate and intricate metal design to hold the center diamond. This simple and delicate setting is the perfect choice for any bride-to-be who loves the look of a vintage piece. Elaborate ring styles became popular between the 1890s and the 1930s. This period was when society and fashion were exploring more liberal expressions and unique styles. Intricate pavé stone settings were first used in the early 1900s and created an elegant look. Decades ago, lapidary tools were not as precise and many diamond cuts were less geometrically perfect than modern stones. Some couples who prefer a more sparkling gem with a greater number of facets may not appreciate the beauty of an older stone, while other couples may enjoy the classic appeal of an antique cut. Antique rings often used both white and yellow gold as the metals. One aspect couples may want to keep in mind is that antique rings may be less durable than modern rings because of the alloys used in metal smithing. This means that such rings may require extra care to prevent damage. Diamonds were not always the preferred gem for an engagement ring, and many antique designs will use rubies, sapphires, or other semi precious gemstones. There are new rings that have been created to replicate the look of an antique ring. These rings rely on antique styles for a basic design but add modern flair to create a unique piece that blends vintage appeal with contemporary elegance. 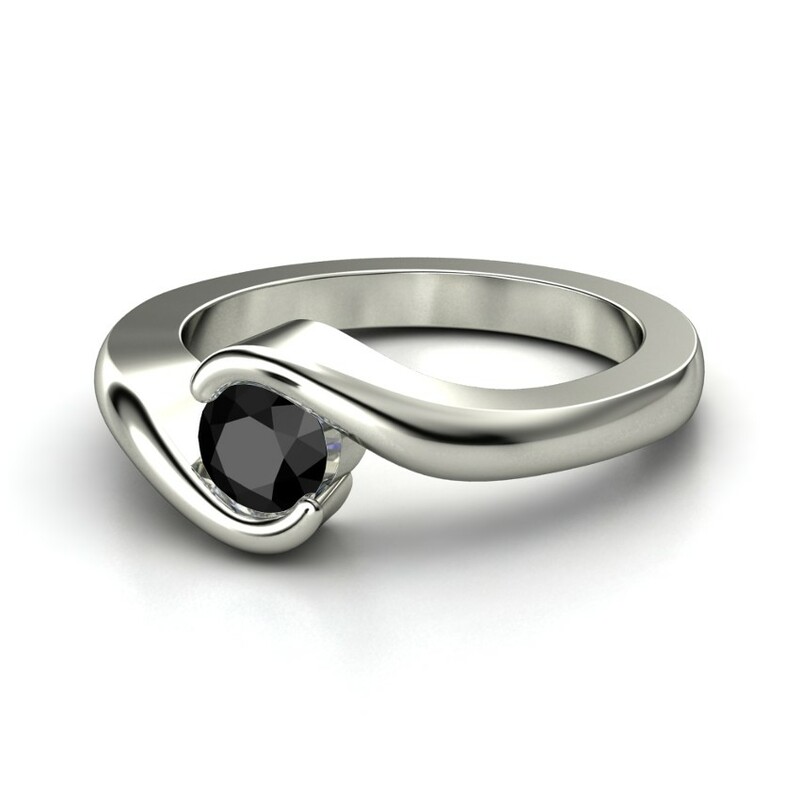 This can be a great compromise for a couple interested in an antique style ring while maintaining modern touches.